Red hair, sir, in my opinion, is dangerous. Like Corrigan, I am a redhead whose hair has darkened over the years. I’m often mistaken now for brunette, which bums me out, but if you catch me in direct sunlight you’ll see evidence of my natural red, which, when I was younger, was closer to strawberry blond. Since my red hair is no longer obvious, I, like Corrigan, worried if that meant the redheaded personality I always felt I possessed was also fading? However, internally, I still possess every bit a redhead’s constitution (with Scorpio mixed in — pow!). Therefore, I’m going to conclude that, while my external redheadedness may no longer be obvious, my internal redhead lives on, and her power and fiestiness remain unsubdued. 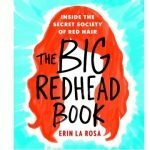 So watch out, world, because the redheads are here to stay! 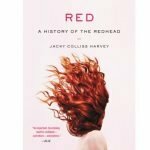 The red-headed phenomenon has of course been celebrated in literature. 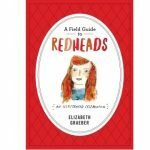 Here are some books about redheads you can read and enjoy. 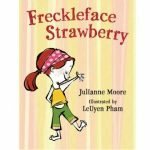 All can be purchased through Open Book Bookstore, in-store or online by clicking HERE. p.s. 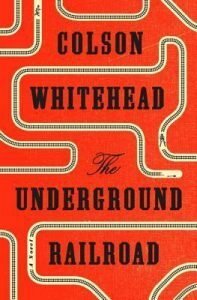 As I have written this, I have consistently been making a typo, typing readhead instead of redhead. I guess my deeper true nature is inadvertently coming out: I am a real readhead!